I didn't really realise the impact of musical exposure as a child until just recently. This year alone I have bought a Genesis album, been to see Billy Joel at Wembley Stadium, and I now sit here with the Bruce Springsteen autobiography next to me and the three disc Phil Collins CD in the player. All of these things are lifelong loves and it's all because my parents exposed me to them as a child. I'm now 41 and, whilst my musical tastes went on a wild and multi-directional journey as I grew up, it is still these childhood influences that give me the greatest pleasure. I love Phil Collins, his Dance Into the Light: In the Round tour about a decade ago is still a fond memory and quite high up in my list of greatest gigs, my love of Genesis led to his solo stuff, his use of Chester Thompson on drums when he was front and centre behind the microphone led me to jazz records, the brass used, especially by Harry Kim, led me to all sorts of wonderful albums, and all of these journeys started with my parents and Phil Collins. 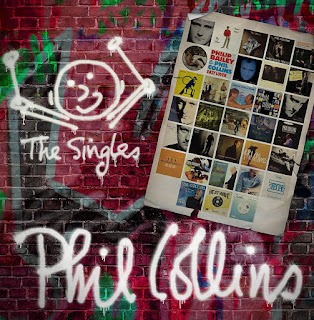 The Singles albums themselves are a great snapshot of a glorious career and are full of firm favourites and a few that even I had forgotten about. Disc 1 starts with possibly the most famous of Collins solo songs and, dare I say, the most iconic drum fill ever? After you've got through the beauty that is In The Air Tonight there's some classics in the form of Take Me Home, Sussudio, Easy Lover, and Against All Odds, there's a couple I'd forgotten about like Don't Let Him Steal Your Heart Away and If Leaving Me Is Easy, and my personal favourite from disc 1 the wonderful I Don't Care Anymore. Disc 2 kicks off with Separate Lives and A Groovy Kind of Love and three brilliant tracks in Another Day In Paradise, I Wish it Would Rain Down, and Something Happened on the Way To Heaven and is followed by the hugely underrated Both Sides of the Story and more upbeat tracks including Dance Into the Light and Hang in Long Enough. Disc 3 contains the most songs I'd forgotten about though. The brilliance of tracks like The Same Moon and Wake Up Call sit nicely alongside firm favourites True Colors and Wear My Hat. This is just a slice of an amazing career. It's a greatest hits trip through thirty odd years of my life and shows that, as both a performer and and a song writer, Phil Collins is a powerhouse. I think, due to Phil's self deprecation and bad dad jokes, that sometimes he doesn't get the credit he truly deserves. He's a fantastic musician, a lyricist that anyone who wants to be a songwriter should study and, through his various styles and tempos in the songs that mean the most to me, he feels like my friend. A must own for fans but definitely worth a purchase for a casual listener that may need reminding that Phil Collins really is this good.